Welcome to Toyota of Hollywood! Toyota of Hollywood opened in 1957 and was the first Toyota dealership in the nation. Now, 60 years later, Toyota of Hollywood is celebrating our 20th year as part of the LAcarGUY Family of Dealerships. Customer service is our mantra and we have a 4-star YELP rating to prove it. Our personable and professional staff are experts in both sales and service and trained to make the customer experience our top priority. We are also very proud to be a dedicated partner and environmental steward connecting with Global Green, Environmental Media Association, and the Hollywood Central Park Project. We worked with Helen Bernstein Elementary School to develop a sustainable vegetable garden and were the first dealership in Los Angeles to install electric charging stations helping to foster our role as a hybrid sales leader. Now that you know a bit about us, we want to get to know you. 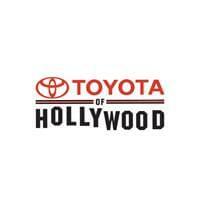 Stop by Toyota of Hollywood today at 6000 Hollywood Blvd or contact us online to schedule a test drive. We think you’ll quickly see why so many Burbank, Glendale, Los Angeles, Van Nuys, and North Hollywood residents keep choosing our dealership.